Did you hear there's a Royal wedding coming up this year? 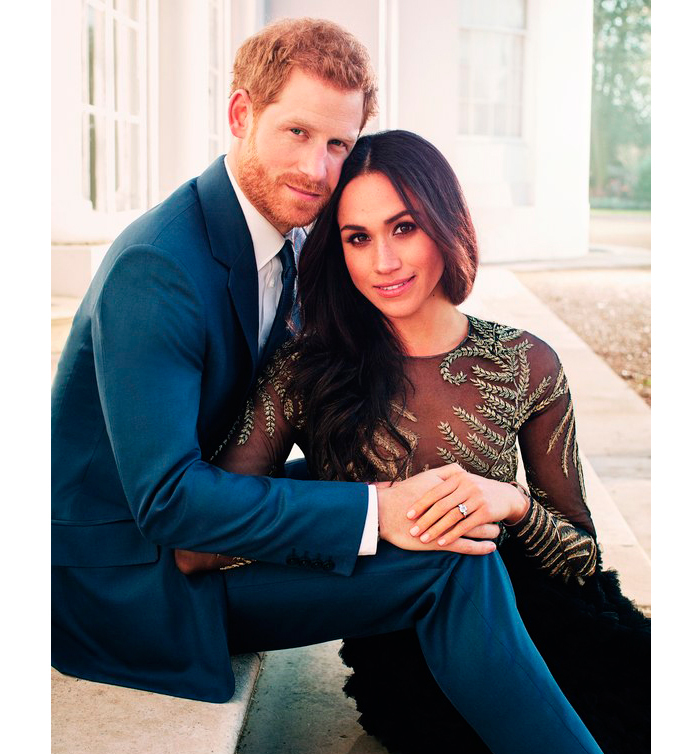 While the date for the most watched wedding of the year has been set for 19th May, wedding ideas and inspo began soon after Prince Harry and Meghan Markle announced their engagement back in November 2017. In their set of official engagement snaps by elite fashion photographer Alexi Lubomirski, Meghan was pictured wearing a stunning Ralph & Russo gown (rumoured to be £56k) adorned with decadent feather-like gold embroidery. She's not the only high-profile fan with an appreciation for Ralph & Russo's exquisite designs. See Sonam Kapoor closing the show for Ralph & Russo here. 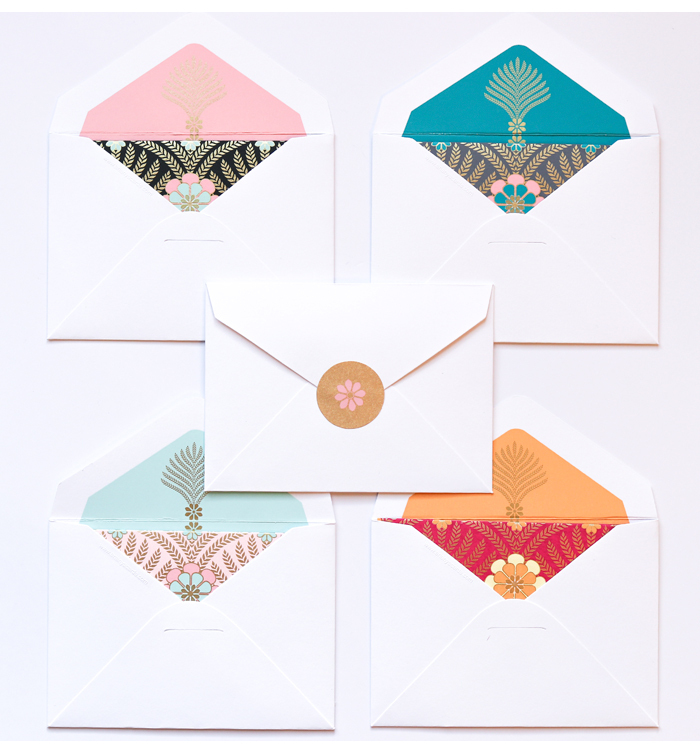 Meghan's engagement dress struck a chord with Ananya Cards stationery designer, Vaishali Shah: “The pattern on her dress instantly reminded me of my new stationery range” she says. We can't help but agree; just check out the new Floral Palm collection which is an exciting collaboration with dress designer, Raishma. 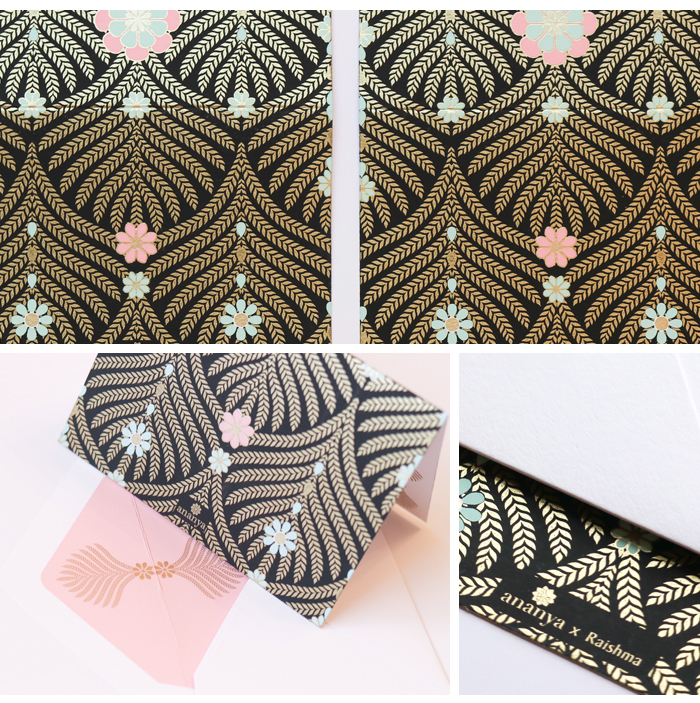 Inspiration was taken from Raishma’s elegant floral dresses and combined with Ananya’s Asian flair to create a range of gorgeous notelet cards that are bursting with personality and glamour. Best of all the insides are blank, allowing you to pen your own thoughtful message, a rare thing in today's WhatsApp world. From £3.50 per individual card, or £12 for a pack of four.